...this is a blasphemous blizzard of filthy occult energy, the frozen corpse of black metal stuffed with dope, crammed into a blast chiller and then violently yanked out, pissed on, and set ablaze. I got a heads up on Whitehorse's Progression< from The Obelisk. Heard one track and I was sold. 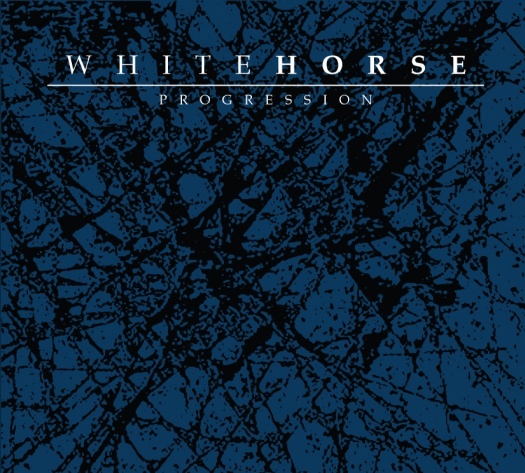 The review states that Progression is an album that inflicts "its dreary, darkened atmospherics well beyond the point of oppression"
I got a heads up on Whitehorse's Progression from The Obelisk. Heard one track and I was sold. 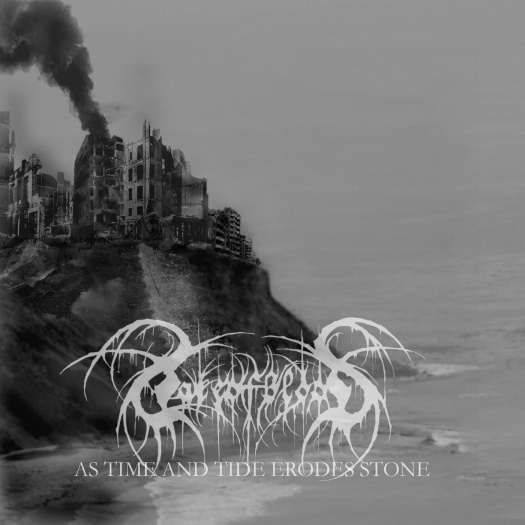 The review states that Progression is an album that inflicts "its dreary, darkened atmospherics well beyond the point of oppression", and this is truly dark doom with cavernous death metal growls, harsh blackened screams, and droney noises and electronics. The last song "Time Worn Regression" is a great example of how Whitehorse creates a crushing atmosphere by gradually adding more and more layers of noise, until it becomes almost too intense. Check it out below. The riffs are rough and ready; the vocals are rough and sometimes unready. But mostly it’s hot rockin’ times from dudes who appreciate the art of the harmony lead. My favorite is "Death Killers" with its tasty NWOBHM riffage, and some great heavy metal screamin'. Click the player to let Hot Fog Kill You In The Face! 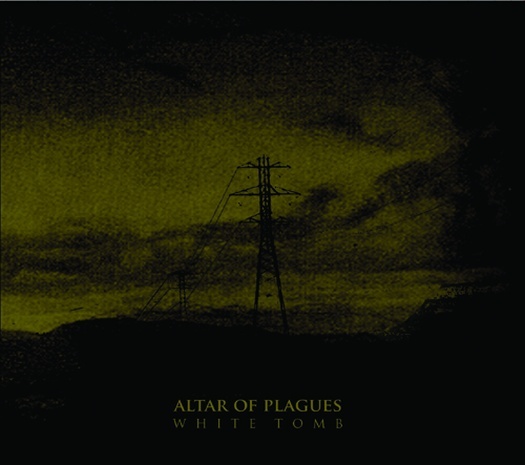 Altar of Plagues' White Tomb from 2009 was added to the Profound Lore Bandcamp. The journey begins when the evocative opening chords of "Earth: As a Womb" explodes in powerful blastbeats, and the words Who will guard these hills? Who will guard these hills? Everything is collapsing, can you see it? Awareness will come slow, if at all. 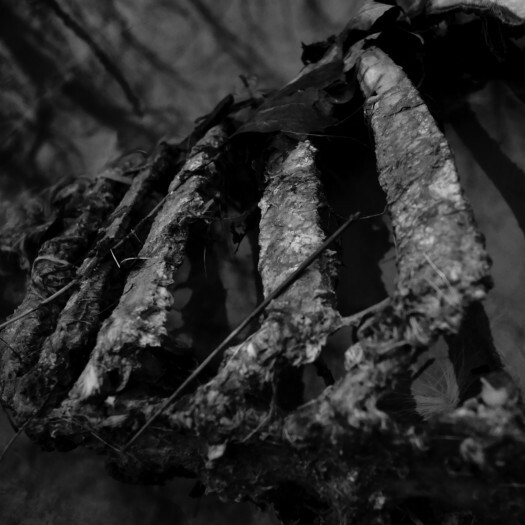 The imagery conjured through Altar of Plagues is not one of abandoned forests and mountains, but the dark and forgotten underbelly of urbane, mundane existence, transformed into a dark beauty often overlooked. the inevitable and necessitous rebirth of our Mother Earth. A live review at No Clean Singing made me check out Vit's album "-" from 2010. I really like their mix of raw sounding acoustic passages and crunching blackened doom. The grungy and upbeat opener "The Ardour of Saints" is a bit of a smokescreen, the rest of the album is a sludgey soup of constantly changing songs. The production is crisp and leaves lots of room for all the instruments and the vocalists throaty croak. Check it out and read these reviews from Lurker's Path, and Mindful Of Metal who calls "-" "simultaneously professional, compelling, hypnotic and unique". 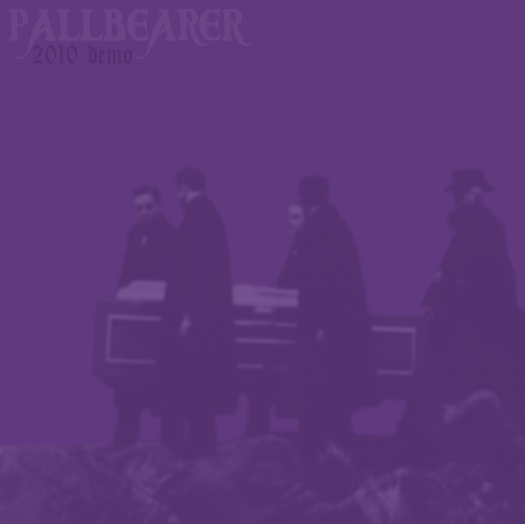 One of my Bandcamp favorites is Pallbearer's 2010 Demo. This is flawless melancholic doom with an old school vibe, great guitar solos and killers vocals in the traditional Ozzy style. Here's a review from Lurker's Path. The last song of the demo is a fantastic cover of the Billie Holiday song "Gloomy Sunday". Pallbearer even replaced the last verse with its I-was-only-dreaming-everything-is-ok lyrics with a soaring guitar solo. A Doommantia review (no longer online) called it "a great track but the weakest track out of the three tunes ... they are much better at sticking to their own material". I disagree, but listen to "Gloomy Sunday" (and the rest of the demo) below and judge for yourself. Update: Pallbearer's debut full-length Sorrow and Extinction is now available on the Profound Lore Records Bandcamp. 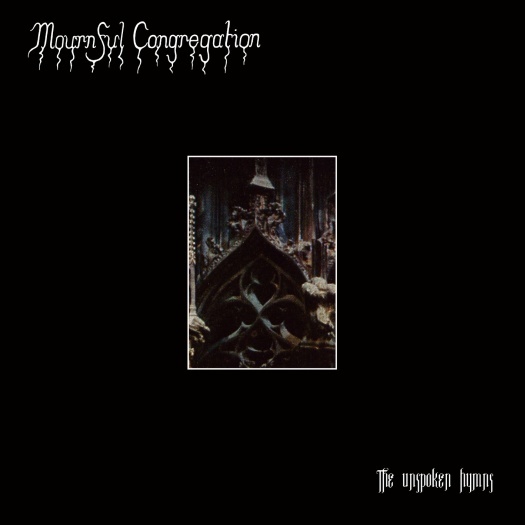 Mournful Congregation's The Unspoken Hymns is a collection of all of the bands four splits over their 15+ year career, plus a cover of Thergothon's "Elemental". It was released on the 20 Buck Spin Bandcamp as a prequel of sorts to their next full-length The Book of Kings. This is emotional funeral doom characterized by droning guitar passages and simple, but incredibly heavy drumming. Mournful Congregation's take on the genre is dynamic, but off course still incredible slow moving. 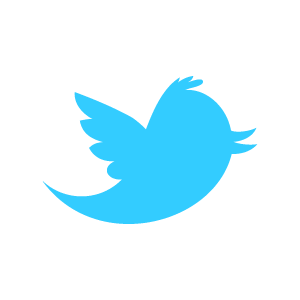 Just like it should be. Recently Bandcamp made it possible to add a band biography to the sidebar. Cut Your Teeth did the obvious thing and wrote "WE ARE THE GREATEST BAND OF ALL TIME". 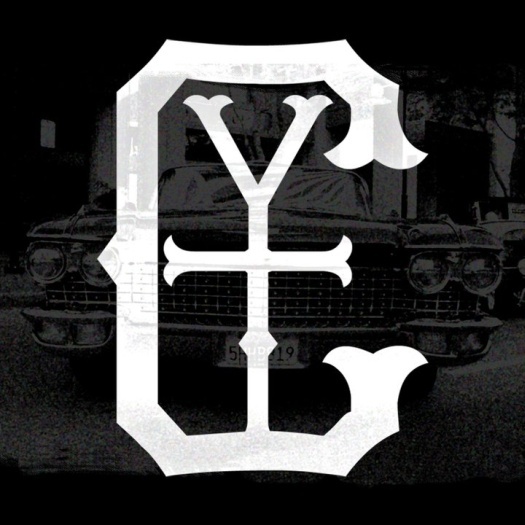 Read the Heavy Blog is Heavy review (CYTII is littered with "some of the most well crafted guitar solos I’ve heard in quite some time"), watch the video below, click that play button and listen to the metal! take the listener through this post-apocalyptic wasteland that man has created. If you want something both majestic and bestial, look no further. Here's an interview with Lake of Blood from Lurker's Path. Listen to the track below and the rest of the album of course. It's good. And check out the review from Don't Count on it Reviews. 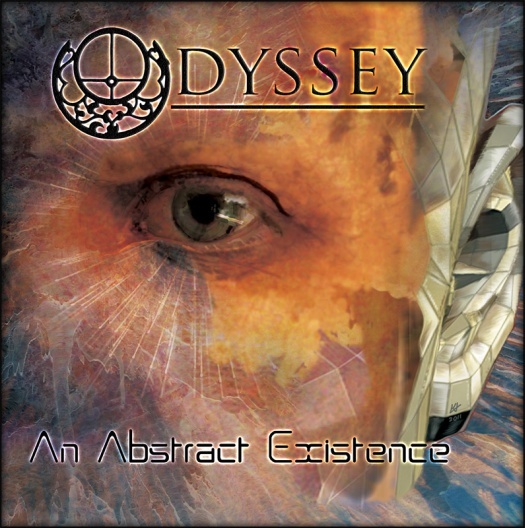 Odyssey released their new album An Abstract Existence a month ago. 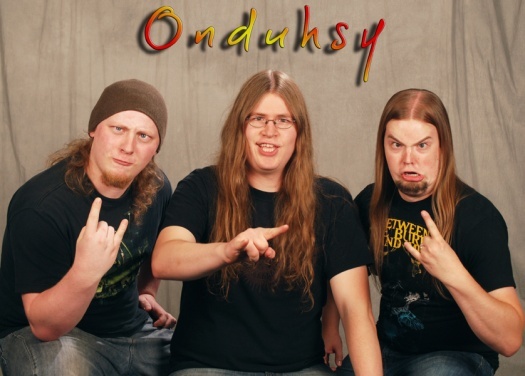 They got a great review at The Number Of The Blog (now found on The Metal Archives). And I agree, An Abstract Existence has a great balance between technical display and instrumental songwriting. I found this picture in the download package. Nice to see a band that doesn't take itself too seriously. Read this fantastic review from No Clean Singing and enjoy the music. Progressive sludge, who would've thought? 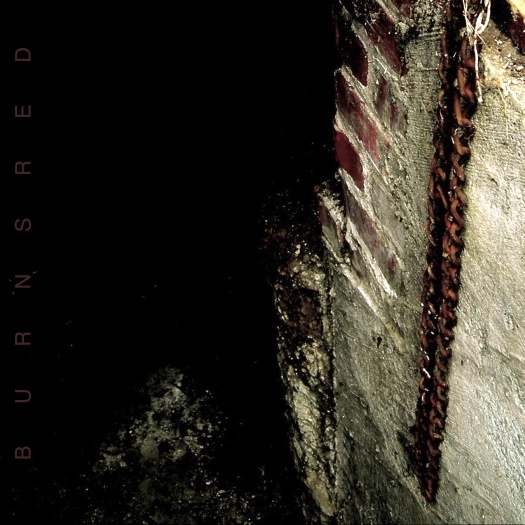 The Sludgelord wrote that Burnsred "delivers a textured sound which is rich with atmosphere, galvanizing elements of sludge, post, black, and doom". Now, I'm not the worlds biggest sludge fan, but the way the band combines the sludge with other genres, and general experimentation, works for me. 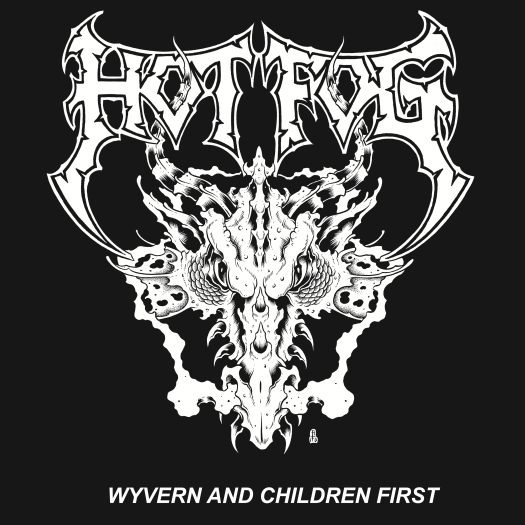 A growing number of metal labels have set up a Bandcamp. 20 Buck Spin has done a fine job integrating theirs with the rest of the website. 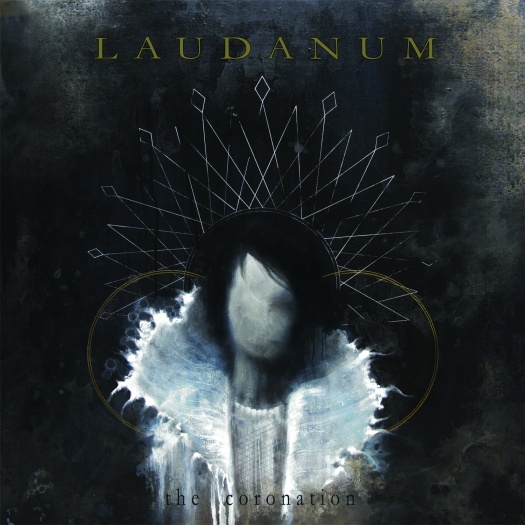 My favorite 20 Buck Spin release at the moment is Laudanum's The Coronation. Some of the of the most gloomy and desperate sounding music I've ever heard. It almost feels wrong to call it beautiful, but it is. Beautiful and crushingly heavy. 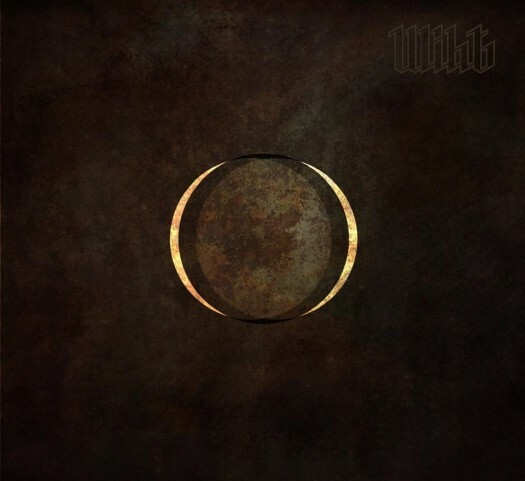 In a great review bt Michael Wuensch, once available at Last Rites, he echoed the same sentiment, only much more eloquently: "The Coronation ebbs and flows from ominous darkness to clouting heaviness like waves of rumbling sickness". 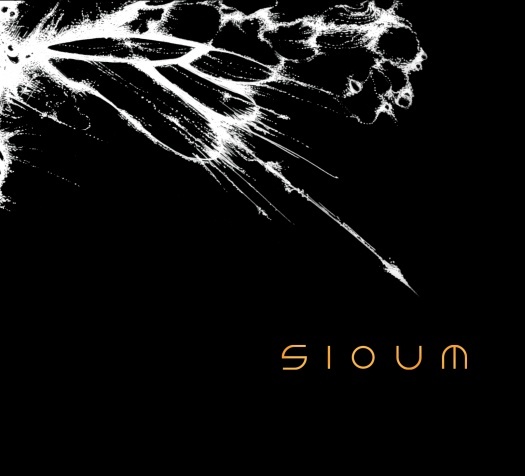 Sioum was recommended by Cloudkicker after downloading his fantastic album Beacons. Those recommendations can be a hit and miss affair, but I Am Mortal, But Was Fiend was definitely a hit! Later I read an interview with Sioum where they said "the three of us really love his music. We feel we could get an awesome sound going if we worked together". And that makes a lot of sense when you hear their music. Check out this well written review from Sputnikmusic. 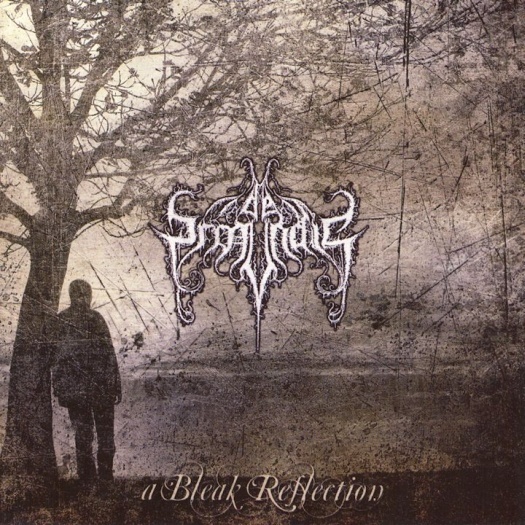 Currently Sioum is focusing on writing music and promoting, because their drummer Arthur Zdrinc was diagnosed with a tennis elbow. Here's to a speedy recovery for Arthur, and maybe this means we get to hear new music from them, even if it may take a while. 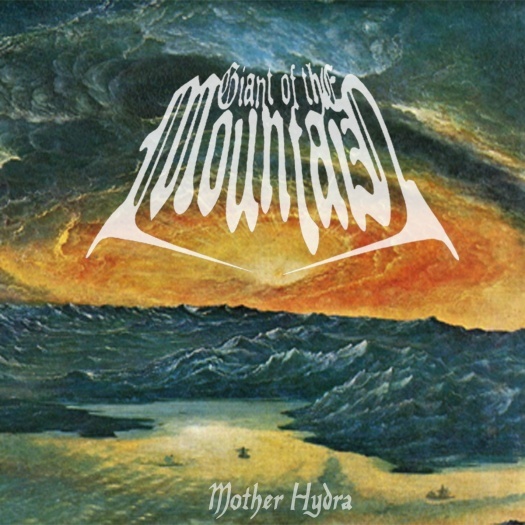 A review on the now defunct The Number of the Blog alerted me to the fact that Giant of the Mountain had just released their new album Mother Hydra to their Bandcamp. The review (which is now found on The Metal Archives) states that "the mix on this album is very raw, which might be off-putting to some [but] the rougher production adds a certain amount of charm to things". I agree; it is a little odd, but certainly charming to hear music this progressive/technical adorned with such a lo-fi production. And the band does mention on the Bandcamp page that Mother Hydra was "written, recorded, produced, mixed, mastered, farted on, and barfed by Giant of the Mountain". Turbid North added the entire Orogeny album the their Bandcamp page. 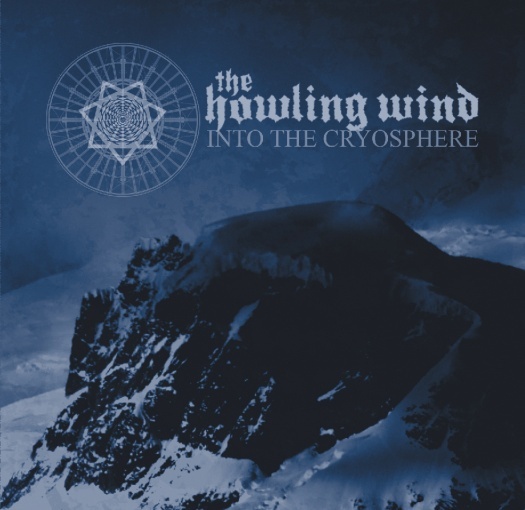 Epic and melodic death metal or "awesome Alaskan mountain metal from the heart of Texas" as summarized in this review from Sputnikmusic. Turbid North added the entire Orogeny album the their Bandcamp page. 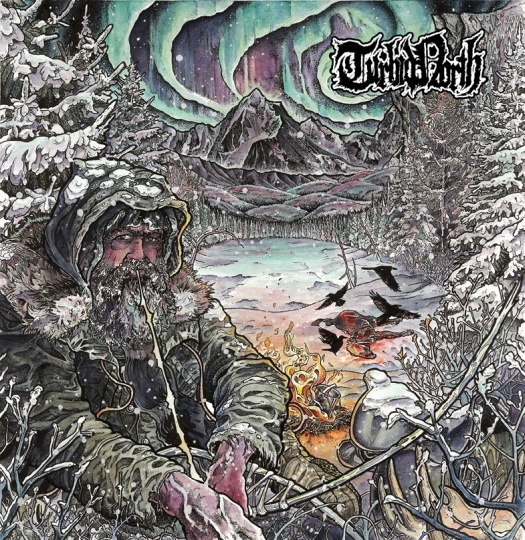 Epic and melodic death metal or "awesome Alaskan mountain metal from the heart of Texas" as summarized in this review from Sputnikmusic. A characterization that certainly fits the gorgeous cover artwork by Adam Rydlinski. Picture the last smoldering remnants of a great fire, a destructive force depleted by exhaustion. At times, it crackles, threatening resurgence, and new fires ignite in the distance, burning and killing with the capriciousness of nature. Now imagine the soundtrack to that scene. The image he conjures matches perfectly with lyrics like the one to "Dreams". Listen to "Dreams" and the rest of the album below. 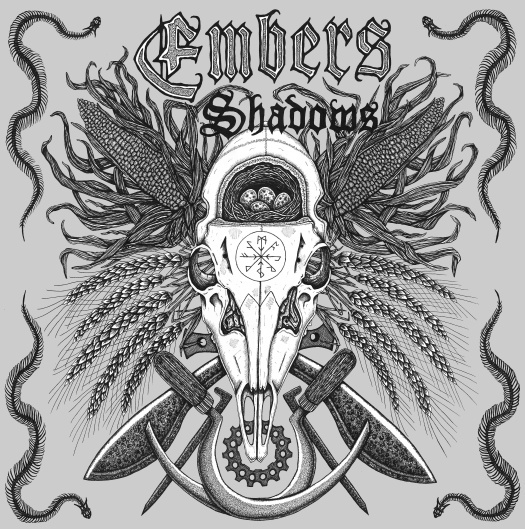 Embers did not add the lyrics to their Bandcamp, so I collected them in a pdf file which you can download here. culls together heavy sludge tonality and foreboding atmospherics to tell the story of William the Conqueror’s quelling of a Scottish rebellion in the late 1060s. With no vocals. The Harrowing of the North told the story of the raids from the point of the view of William the Conqueror, this next piece of music we are doing follows on from that but tells the story of the raids from the point of the view of rebels.